MN 301.2: This course will help the counselor to identify core areas of sin in a counselee’s life, companion sins, and God’s way to victory. 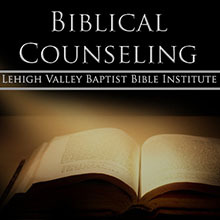 This course employs Pastor Doug Hammett’s counseling manual and gives instruction in its use. A nouthetic and confrontational approach to people is the method encouraged by the teacher. This course is practical and beneficial for any Christian desirous of helping others work through life’s problems. 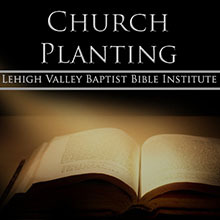 MN 202.2: This course provides the necessary information for church growth. It involves such subjects as taking a church, charting her course, and accomplishing steady growth through Biblical and practical methodology. MN 201.2: A practical training course including the church planter himself, advertising, financing, services, organization, location, sermons, legal needs, and more. Vital information for starting a New Testament church in this age is taught. MN 407.2: A course that uncovers the danger of national men relying upon the resources of a foreign missionary, and directs instruction toward a full and personal dependence upon God’s provision. MN 406.2: A series of lessons explaining the indigenous principle (training national men to reach their own people) and how to incorporate this principle into ministry on the foreign field. Taught by missionary Milton Martin. MN 404.2: Veteran missionary, Milton Martin, teaches about the importance of prayer as a spiritual weapon for effective ministry. MN 203.2: This course consists of an examination of the Biblical basis and necessity of missions, with consideration given to proper methodology in missions. MN 408.2 (Elective): A practical study on language learning, with emphasis on the recognition, reproduction, recording, and recalling of distinct speech sounds used in the languages of the world. MN 409.2: Discussion and examination of different strategies used in missions. Consideration will be given to how to choose a strategy and implement that strategy for a particular field. Particular attention will be given to possible strategies to employ in creating a Church Planting Movement. MN 401.2: Foundations of Biblical Pastoral counsel are taught. Need, qualifications, goal, and survey of other methods are just a few among the many items communicated by the instructor.